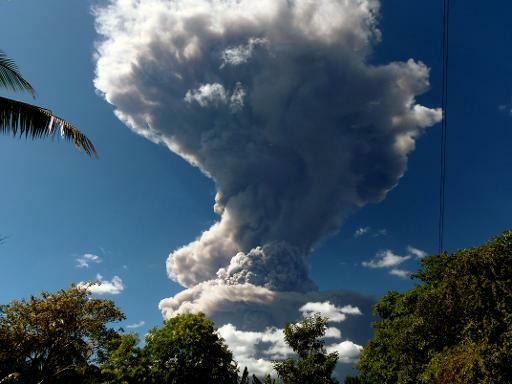 San Salvador (AFP) – Some 2,000 people were evacuated in eastern El Salvador when the Chaparrastique volcano belched and spewed a column of ashes high into the sky. The 2,330 meter high volcano began erupting around 1630 GMT on Sunday, and authorities suspended scores of flights across parts of the small Central American country. No victims were reported. The volcano belched for about 2.5 hours, the environmental ministry said. President Mauricio Funes took to the airwaves late on Sunday to tell his nation that, while the eruptions seemed to have ceased, there could be more volcanic activity in the next days. The eruption produced a dense column of gas and ashes that rose more than 5,000 meters into the air. Debris from the blast was spread in a radius of up to 10 kilometers from the volcano, he said. The eruption “has not caused victims or serious damage,” Funes said. Civil Defense chief Jorge Melendez warned that wind could carry smoke and ash from the Chaparrastique to Tegucigalpa, the capital of neighboring Honduras. The Chaparrastique is the most active of El Salvador’s 23 volcanoes, though it has not had a major eruption since 1976, local officials said. El Salvador is located in the Pacific Ring of Fire, and has historically been affected by earthquakes.